Tonight’s lovely press dinner is brought to you by a repeat guest: Didier Pawlicki, the energetic owner/chef of the romantic La Sirene. Both restaurants share the same kitchen yet have completely different concepts. Taureau is all about fondue and only about fondue and is probably the only all fondue restaurant in the city. 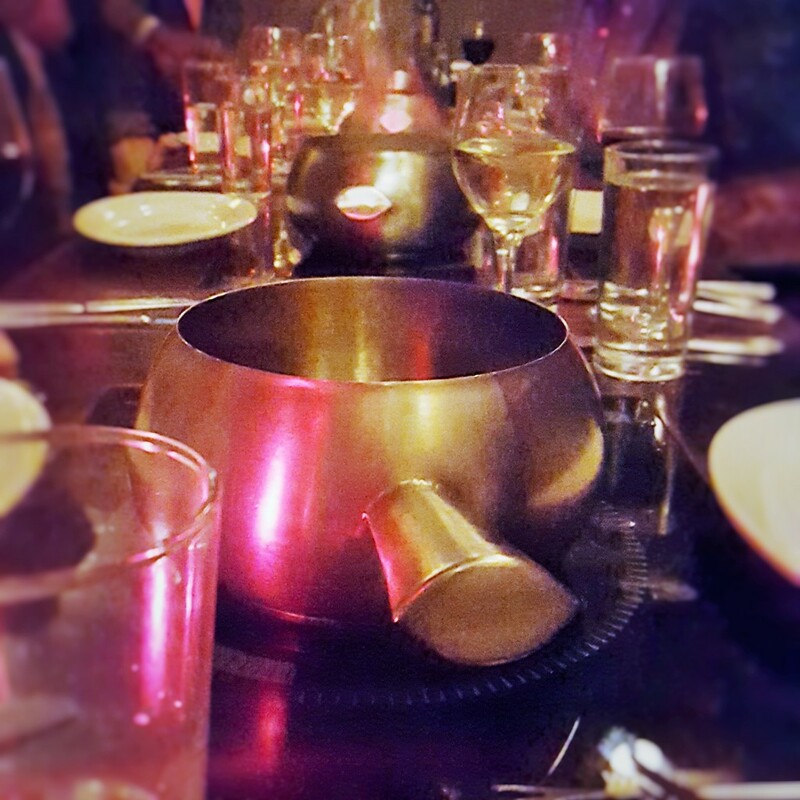 I had slight qualms about an all fondue restaurant ever since a sad, traumatic experience at The Melting Pot (tres gauche), but Didier worked his magic again to make this another fantastic food fest.